THE MASTER OF MYSTERY EXPOSES A GENIUS OF CRIME! Thomas Harley (Edward Earle) is arrested for Bank Robbery and for the murder of a Bank Guard. His fingerprints were found at the scene but he insists that he was not there. 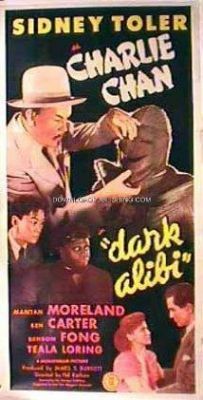 With only nine days before he is to be executed, Charlie Chan (Sidney Toler) hears of his unusual case and investigates to prove him innocent.